Researchers from Australia's national science agency, CSIRO, are part of an international collaboration which has made a major breakthrough that could change the way gases, liquids and chemicals are collected and filtered by industry. The group's work has just been published in Nature Communications. They found it's possible to melt an advanced material called Metal-Organic Frameworks (MOFs) into a thin coating called "porous glass" while retaining much of MOFs amazing filtering characteristics. This potentially opens up a new way to harness MOFs at an industrial scale. Paper co-author Dr. Cara Doherty said "This research could help move MOFs into mainstream industry by sparking a new wave of industrial innovation and technological breakthrough. While there are more than 20,000 different types of MOFs, only seven are commercially available. We aim to change that." Usually found in powder or pellet form, MOFs contain millions of microscopic sponge-like pores. So many in fact they have the largest surface area of any known substance. 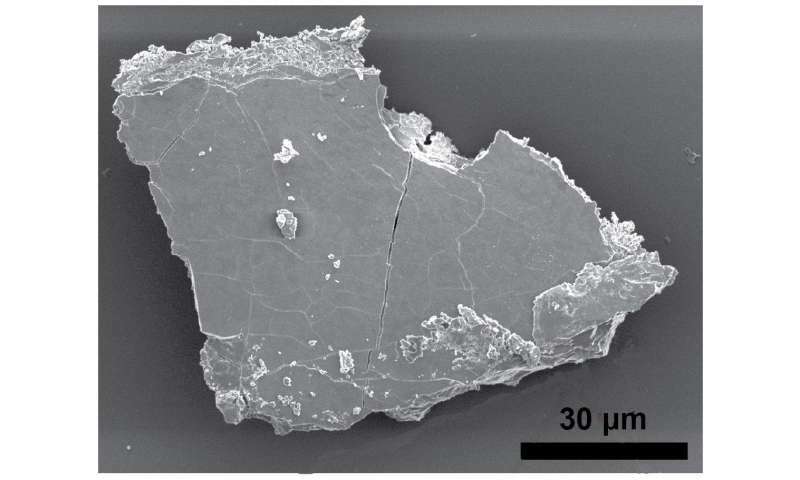 A single teaspoon of MOFs power can have the same surface area as a football field. These microscopic pores can be used to store, separate, protect and sense molecules. The researchers discovered that even when melted down into porous glass MOFs can retain 70 per cent of the pores and 60 per cent of the internal surface area they had as a powder. "By using a thin, nano-porous MOFs coating instead of bulky pellets or powder we can potentially now use MOFs at a previously unimaginable scale", Dr. Doherty said. A MOFs coating could, for instance, eventually turn previous research into using MOFs to filter drinking water or extract lithium into an industrial reality. Current production methods for porous glass are complex, difficult and result in large pore sizes. This new research could also lead to a simpler way to produce better porous glass; a material found in electrodes, chromatography, medical devices, desiccants, coatings and membranes. CSIRO co-authors Dr. Cara Doherty, Dr. Aaron Thornton and Dr. Anita Hill—Executive Director of CSIRO's Future Industries group—were among 20 researchers from around the world who contributed to the paper. Dr. Hill said "It's great to see true international collaboration like this at work, especially to be working alongside colleagues like Dr. Thomas Bennett from University of Cambridge. As well as his work with Cambridge, Thomas also holds a visiting scientist position at CSIRO." Dr. Bennett's involvement, and the collaboration between Australian and Massey University scientists on the project, was made possible by a New Zealand government MBIE Catalyst grant. Eleven universities and research organisations from the United Kingdom, Denmark, Slovenia, China, Turkey, and New Zealand were involved in the research. CSIRO is globally recognised for their work on MOFs, with more than 100 papers, 20 patents, numerous high profile awards and an extensive history of industry partnerships. "A single teaspoon of MOFs power can have the same surface area as a football field." What's that in square metres per gram? What's that in square meters per gram? Well it's equal to a smidgen per bushel or to narrow that down, a bunch per dollop. If you want to know that, you first have to determine which MOF you are talking about. The lowest density MOF is 0.124 g/cm^3. A teaspoon is 5 ml or 5 cm^3. What is idiotic about using (relatively) common units to express the mind-boggling capacity of MOFs? Most people don't think in square meters per gram, but they do know how small a teaspoon is and how large a football field is. Anybody who wants to know the actual scientific measurements can do the math for themselves, or they can look at the original report written by the scientists who performed the experiment. The article on this site is meant to be a summary of the original, written in language that common people can understand/comprehend.